Lifts: 1 of 11 Available Uplifts Scheduled. The downhill bike tracks are open daily, 10: 15 - 15: 45(weather permitting). Please ensure that the appropriate biking and safety kit is worn as these are both difficult down hill tracks. At the Top Station you can relax in the Snowgoose Restaurant and Bar and enjoy the panoramic views at your leisure from the comfort of the restaurant or veranda or take a walk along the mountain footpaths to our scenic viewpoints. Treat yourself to some fresh baking and speciality coffee or a relaxed lunch, or choose your designated driver and enjoy some of our local beverages. You can also purchase a memento of you visit at the gift shop. At the Base Station you&#x2019;ll find the Tree Adventure ropes courses and miles of cycling and walking trails to enjoy. After all this activity you can relax in the Pinemarten Caf? bar over home baking or a lovely lunch, sit and watch the world go by and watch the mountain bikers complete their decent of the Mountain Bike Downhill Track and Top chief. We have events and activities throughout summer including, music evenings, quiz and film nights as well as bikes events and ceilidhs. The UCI Mountain Bike World Cup takes place on the first weekend of June and tickets can be purchased online for this. Bike hire, along with bike school are also available on site, offering XC and DH bikes and with trails suitable for all users you can make a day of your visit. For full details of all our opening times, bike uplift for DH track, activities and events please see the dedicated sections on our website or you can chat to a member of staff. Official Report data supplied by Nevis Range. 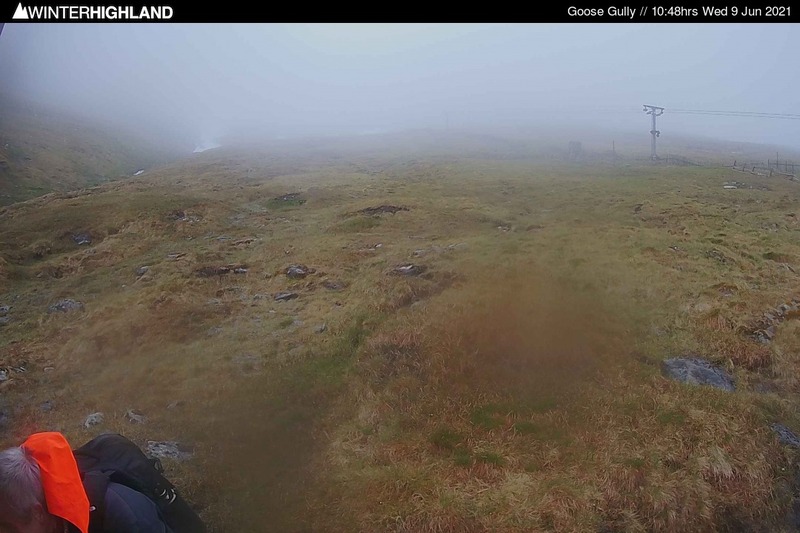 Information on this page is © Nevis Range and Winterhighland Ltd.
Good width on the Upper Goose, narrowing a bit towards the T-bar drive, but still decent from the Summit and Goose Tows. A decent Monday at Nevis Range, but Gale Force SW winds forecast for the next 2 days. Check uplift AM before travelling. Early November tracks laid down from the Summit Runs. Front of mountain webcams now online. Looking up Rob Roy to the Nid Ridge & Wall. Nevis due to reopen for Snowsports on Thursday.